I have seen videos and wall decors made, but the materials that they use, I don't know where to find it or how to create it. I know they are square spaces to put in the balloon. No idea on how to prepare it or put it together? 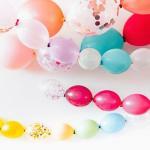 Comments for ¿What materials do I need to create a wall mural with balloons? In addition to the tips that Arizona's Balloon Artist gave, I wanted to mention the Rouse Matrix System. This is an expandable, light weight framework to hold balloons together. The Rouse Matrix comes in lots of shapes including hearts, stars, and rounds as well as banner pieces which can either be joined together to create backdrops or can even be cut to your choice of specific shapes. You can see their selection and order them at the Rouse Matrix Store. 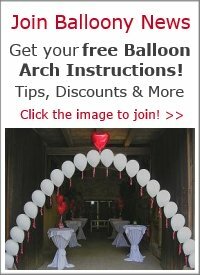 They also have a well maintained Facebook Page with stunning examples of balloon creations with the Rouse Matrix System. This question can not be answered without understanding what kind of mural you want to create. For example, if you want to spell out a 5 letter word on a 20x60 ft wall, you really only have two choices, a grid system or bending conduit. If you are looking for more detail and lots of space, you may need to use chicken wire between 8 or 10 ft steel rod on bases. 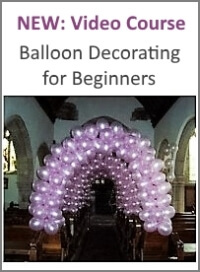 If you just want a wall of balloons in a pattern or one color, you can use steal rod on bases with rod running along the top and hang a simple "link-o-loon" wall. I used a bit of water in the bottom balloon for this type of wall. I hope this gives you a few ideas. 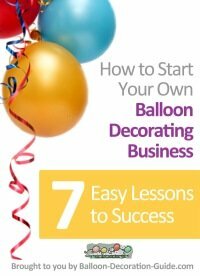 A great resource to learn more is www.balloonhq.com.